We’ll help you decide on closing dates and inform you about the considerations involved whether you buy first or sell first. You own a home but you’re looking to sell it and buy a new home. Maybe you want more living space, a yard for the kids to play in or a quieter neighbourhood? If you’re like many home owners, you’d prefer to time your sale and purchase to occur around the same time. The housing market, like most markets, is cyclical. These cycles can be greatly influenced by a number of factors, including interest rates, economic conditions and consumer confidence, which can create a shortage or surplus in housing. What exactly is bridge financing? A bridge loan is a temporary financing option designed to help homeowners "bridge" the gap between the time your existing home is sold and your new property is purchased. It enables you to use the equity in your current home to pay the down payment on your next home, while you wait for your existing home to sell. Expense-wise, there's more to owning a home than your monthly mortgage payment. When buying your first home, you’ll want to avoid costly, last minute surprises. That’s why it’s important to understand your closing costs, and plan for them accordingly. 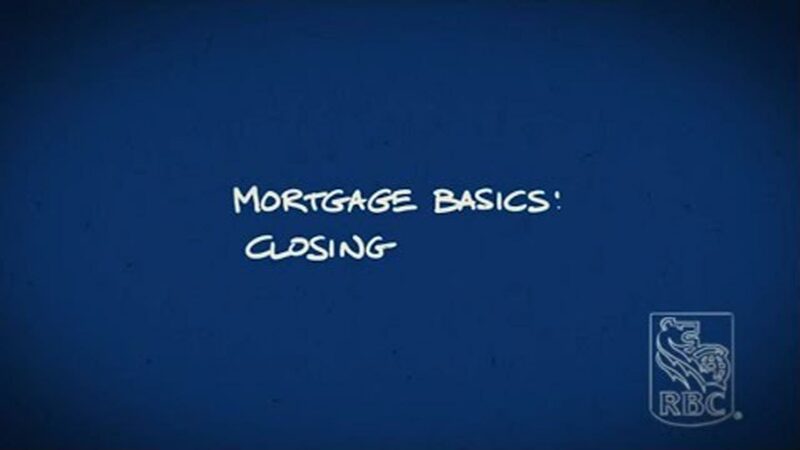 Closing costs are all the costs you will have to pay on the day you take possession of your new home. These costs can include: Applicable Provincial and Municipal Land Transfer Taxes Tip: If you’re a first-time buyer you may be eligible for a rebate of all or part of the tax payable Legal fees Adjustments to cover property taxes or utilities the seller may have prepaid Moving costs – whether it’s renting a truck or hiring movers to do it all And if you’re buying a newly built house or a condo there may be some additional costs to plan for. In general, you can expect that closing costs will be up to 4% of the purchase price of your home. That’s something you’ll definitely want to plan for, and one great way to get ready is to set up automatic transfers to a dedicated savings account. Even a small amount every week can add up quickly, and then when it’s time for closing, you’ll be prepared. While you’re planning for your new home costs, it’s also a good time to take note of the other things you’ll need to pay for right away. For example, do you need window coverings, or a lawn mower? Do you know the condition of your furnace and appliances? And are you planning on pulling up the orange shag carpet from the family room before you move in? Having dedicated savings earmarked for closing costs, including an emergency fund, is a great way to be prepared. So even if you ARE surprised, you’ll be able handle it. Talk to an RBC mortgage specialist today to learn more.